2019 Vacation - Your Vacation, Perfectly Planned! If you're looking to travel last minute or like to plan ahead with an early bird deal, look no further! With round-trip flights this fall, winter and spring or exclusive 2019 non-stop flights from select cities and all-inclusive resorts, you'll find the perfect package to Cancun, Riviera Maya, Punta Cana, Jamaica, Cozumel or Los Cabos. Find our best deals from almost anywhere in the USA by completing the Quote Request below or contacting us directly. Now is the time to book your 2019 cruise or vacation and save big! 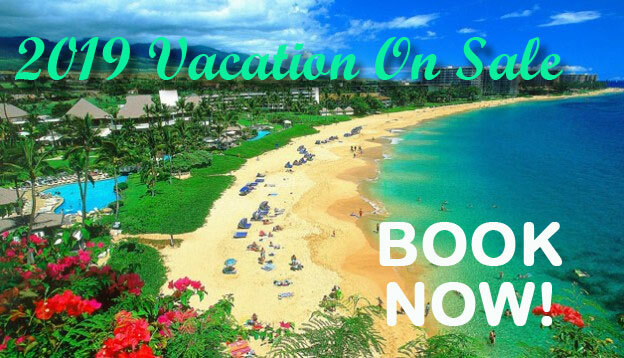 Book early to get the most beach for your. See the banner above for today's deal to save more on our already low prices on all-inclusive vacations with flights. Plus you enjoy signature JADAR personal service all the way! Tell us what you desire and we search for the best vacation and cruise option for you! We work with you to maximize your vacation fun! With over 100 major vacation partners, including the following, we will find your ideal vacation or cruise! When do you wish to end your vacation? Traveling within three days? We can make it happen! Call 77-755-1656 to book. * Prices are per person, based on double occupancy. For full terms and conditions, hotel and description of all services, please carefully review vendor information or call for details. Airfares are per person, reflect lowest available airfare at time of printing, are subject to change and are based upon availability of class of service. Baggage charges and allowances vary by carrier and can change frequently. Most major carriers are charging a fee for checked baggage. Some airlines, including Spirit Airlines, are charging a fee for all checked and carry-on baggage. Clients must check their respective airline for the most current baggage information. Some hotels in the Riviera Maya area of Mexico charge an environment fee of approximately $1.13 per room, per night. Fees are subject to change without notice and are payable to the hotel upon check-out. Book by 11/28/18. Not responsible for errors or omissions.